Whether you are out of shape, or just a large-framed person, if you are heavier than average it is important to have the right mattress. The quality of a mattress not only determines the quality of sleep, but can also affect health. Mattress purchases should not be made lightly. Unfortunately, it can be a bit confusing determining what the best mattress would be for your particular needs. There are many features and variables to mattresses, and they are most definitely not one size fits all. For larger people, consideration must be taken regarding what the best mattress is for them. For people who are overweight, a balance needs to be reached between comfort and firmness. If the bed does not provide the right amount of support, they can find themselves waking up with aches all over, especially in their joints and back. Also, if we are larger, it means that our beds get worn in more easily. Mattresses are often quite expensive, and if you are going to buy one you want to make sure that it is going to keep those qualities that make it comfortable for a long time. This means that heavier people need to look for more firm, supportive beds. This often spring mattresses a poor option for people who are overweight. The need for a firm durable bed that provides pressure relief may mean that the best mattresses for overweight people are usually memory foam. However, another major consideration is temperature control. Many heavier people suffer from sleep heat, with their mattresses feeling almost like furnaces against their backs. Unfortunately most memory foam mattresses have difficulty with breathability. This means that if you are overweight you really can’t just pick any firm mattress. Instead, you have to really find one that will work best for you. Below we’ve compiled a list of 10 mattresses that we believed are the best beds out there for people who are heavier than average. When it comes to bigger people you want plush and firm, and the LUCID Plush Memory Foam is known for both of these things. 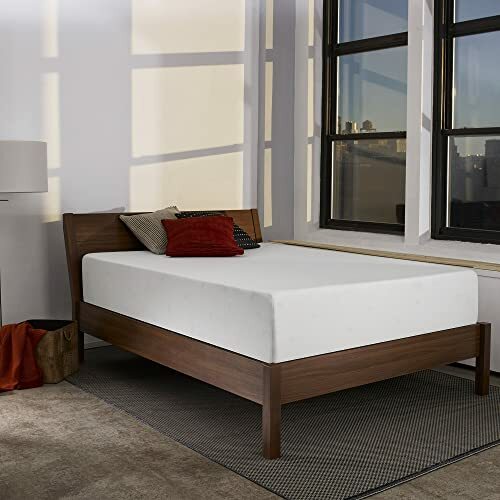 The upper layer of this mattress contains an inch of bamboo charcoal infused memory foam, beneath which is a 3 inch layer gel infused memory foam. These upper layers keep the mattress feeling plush while contouring to your natural shape. Unlike many memory foam beds, the LUCID is designed with to prevent body impressions that force you to sleep in the same pose every night. They also play a role in temperature control, a necessity for those who are overweight and run hot. The next 10 inches are essential, giving the mattress an extra firm base for support. The charcoal in this mattress isn’t seen in a lot of mattresses, which is a shame because it really works well, keeping the smell down and helping maintain cool temperatures. The last thing we want is to be hot in bed, and heavier people tend to be so. The charcoal will help with that. Also, the anti-allergen properties of the mattress are an important feature. If you are even slightly overweight you might be prone to sleep apnea, so cutting allergens is a good way of minimizing this risk. This mattress has that perfect mix of support and plushness, and it is great for side sleepers who don’t want to wake up with hip pains. 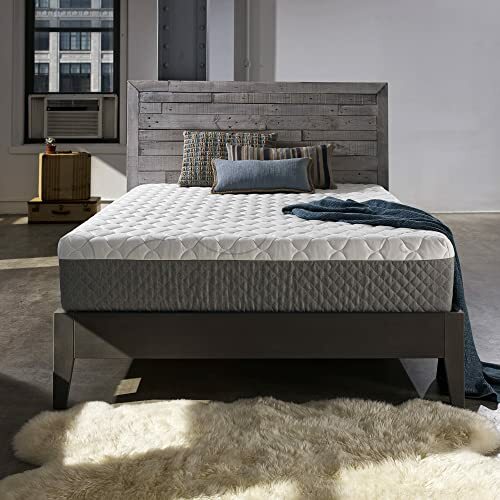 With 2.5 inches of SureTemp Memory Foam as the upper layer, Sleep Innovations’ Shiloh will lightly cradle you to sleep while keeping you cool. The Shiloh’s memory foam help keeps your body properly aligned while giving full support. This mattress is designed specifically for average to larger bodies. 12 inches thick, with 9.5 of those inches being firm support, this mattress can put up with some extra weight while still surrounding you with comfort. This bed is firm! If that is what you enjoy, you can rest assured that you are going to get a good amount of support with a bed that will last you awhile. Weight isn’t going to wear this mattress down. Something to consider is that the top layer is very plush, and has a bit too much give for some. If you roll around a lot it might not be great for you, and if you are sleeping with a partner in the bed, you’ll want to make sure there is room so nobody sinks into the other person’s space. Three layers of foam come together to create a comfortable mattress for those who need a little more support. The top 3 inches are memory foam, giving that personalized alignment and comfort it’s famed for, the next 2 inches is designed to relieve pressure on your body, which is important for those of us whose weight might put pressure on joints or our back. The final layer is a high-density base support. Besides being a great bed, the Zinus Ultima Comfort Memory Foam Mattress wins a lot of points for being inexpensive. Many bariatric beds designed for larger people can really break the bank, but the super firm Zinus is a very reasonably priced bed. If this you aren’t sure about getting a firm memory foam mattress, you might want to try this before you go shopping for more expensive mattresses designed for overweight people. If you are looking for a mattress that will keep you cool, the DynastyMattress Cool Breeze might be the best option for you. The top two layers of this thick 12-inch bed are designed for comfort and temperature control. The top layer has 3-inches of gel foam, followed by 4-inches of Cool Airflow Foam. Combined you get the comfort of a memory foam bed with the cool airflow of the traditional spring mattress. Of course, the final 5″ of the bed is a firm supporting foam. This mattress also looks great with its brown suede corners. It also has a washable cover, great for keeping it clean of bacteria and potential allergens. Warranty: 30 years limited warranty. Like many of the best mattresses for overweight people, this mattress is very firm! Smaller people you may share the bed with may not like this bed as much. If you are the travelling type, they even have a cool RV edition of this mattress. While Sleep Innovations’ Shiloh was designed for those heavier sleepers who like to sleep in one position, the Taylor is designed with those who can’t make up their mind when it comes to sleep positions. Besides a medium-firm support ideal for all sleep positions, the Taylor also has 4″ worth of cooling plush to make sure that you don’t over heat in the night while tossing and turning. 8″ of Ultra-Support on the bottom makes sure this is a firm durable mattress. TriComfort Design including a SureTemp memory foam top layer, a breezy middle layer and Deep Support Foam bottom. Pressure point relief and personalized alignment. For the average to bigger body. Those thick layers that create a comfortable and supportive rest make this is a tall bed, 12″ total. You’re going to need sheets with depth to them if you use this bed, but it’s well worth it for the super cool feeling it gives you. The Taylor is much cooler than the Shiloh, and it also has low motion transfer, so you don’t have to worry about trapping a partner or tossing and turning. Tuft & Needle is a leading startup in the world of mattresses, designing top of the line mattresses using high-quality foam. 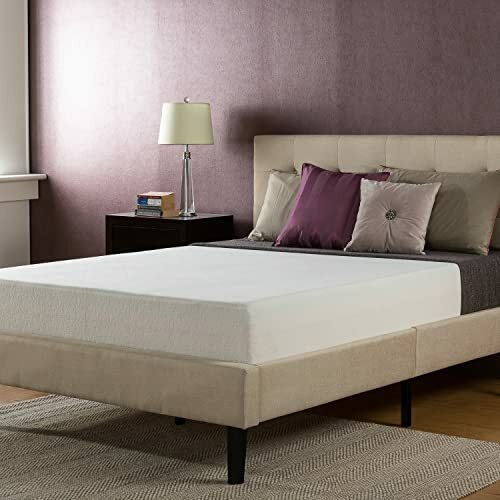 This mattress uses special T&N Adaptive foam which gives it a bouncy yet supportive feel. The T&N Adaptive foam is a more advanced material than memory foam, and prevents you from feeling stuck in a hot bed. The mattress should give you supportive pressure relieving sleep with a little “bounce”. Tuft & Needle use cooling gel and graphite to keep the bed fresh and feeling cool throughout the night. The Tuft & Needle adaptive mattress truly adapts to your body, giving you comfort no matter how you sleep. Despite being adaptive, it’s also firm enough to prevent transfer motion that could disturb someone else’s sleep. Something we’ve noticed is that the sides are not firm, so if you sleep at the very edge of the bed you might feel like you are going to fall! It also can be a bit too firm for those who sleep on their side. 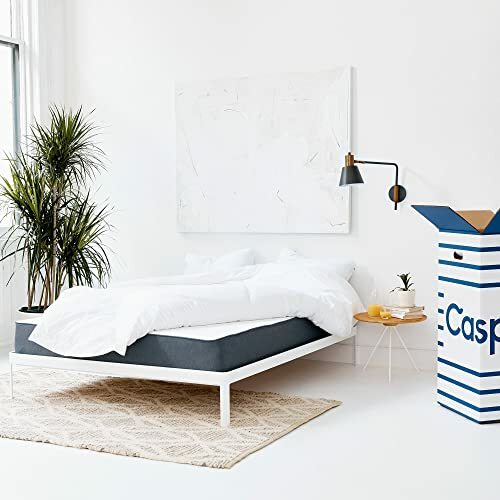 Feel like you are weightlessly floating on a cloud with the Casper Sleep Mattress. The top layer is springy and breathable, keeping away sleep heat while giving you a comfortable rest. Casper uses an innovative design that supports the sleeper across four touchpoints. Below the breathable bouncy top layer, high-density foam supports pressure points. Beneath this high-density foam is a deep comfort transition layer designed to allow for even weight distribution. This weight distribution is important for those who are overweight, keeping off extra tension in localized areas like the hips and spine. A zip-off cover allows the mattress to be cleaned easily. 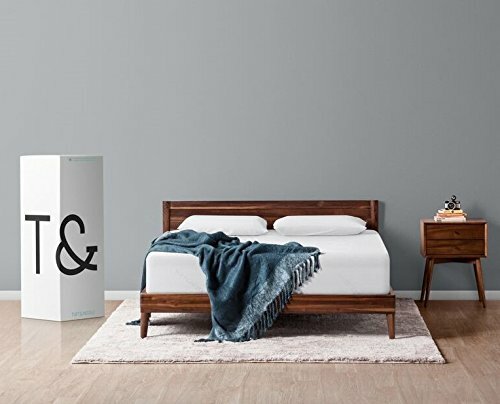 100 Night Risk Free Trial – Rest easy knowing that if for any reason you are unsatisfied with your purchase, your mattress can be returned, free of charge, within 100 days of shipment receipt through Amazon. This is a great choice for someone who runs hot and needs a bed that can keep the pressure off their joints. The mattress does sink a bit though, and the sides can slope, so if you are someone who tosses and turns a lot, or sleeps on the edge of the bed, this might not be the best option for you. The Leesa Mattress is designed with three layers of foam for cooling, comfort and support. These layers will help heavy sleepers stay cool while taking pressure off their pressure points so that they can wake up feeling refreshed, rather than having morning aches and pains. The Leesa is also a beautiful looking mattress with diamond pattern quilt cover. A socially conscious company with great customer support, the Leesa is a perfect choice for heavy back sleepers who are looking for a firm, but not too firm, bed. The Leesa, like many foam beds, does lack support on the sides, which means if you are someone who sleeps on their side, near the edge of the bed, you might find yourself sinking. As the name suggests the Arctic Dreams mattress is designed specifically to address sleep heat. This mattress utilizes an advanced patented visco-elastic foam known called Energex™ to keep sleepers at the perfect temperature. While other mattresses which may require a slow cooling down period, the Arctic Dreams mattress has a quick response alternative that cools you down quickly. 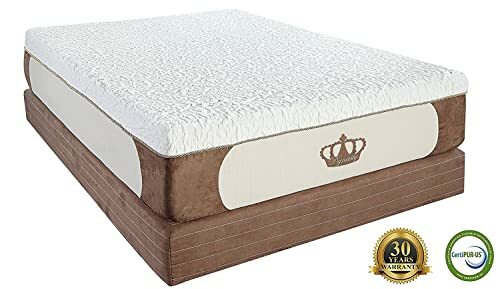 The materials used in the Arctic Dreams mattress provides a feel that falls just between spring and latex bed, and also provides pressure relief. On top of this special foam, the mattress is covered a thick layer of soft, breathable quilting. This is truly a cooling mattress, but it is softer than most that we would recommend for heavier people. This mattress will be the best compromise for those with partners who need a softer bed. 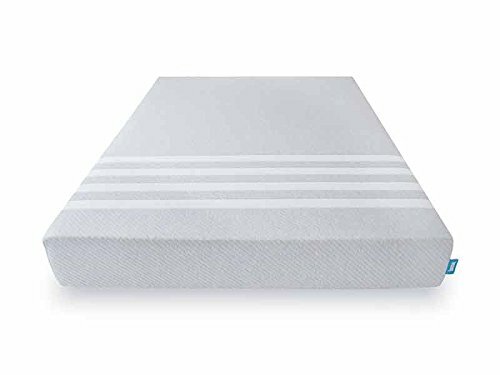 It is a bit too soft on the edge for side sleepers, and it might be worthwhile to place a mattress pad on top to give it a little more shape and comfort. Just make sure you get a pad that is breathable and doesn’t interrupt the wonderful cooling powers of this mattress! For heavier people, sleeping on a bed that doesn’t conform to their body properly can lead to awful aches in the morning and low quality sleep. 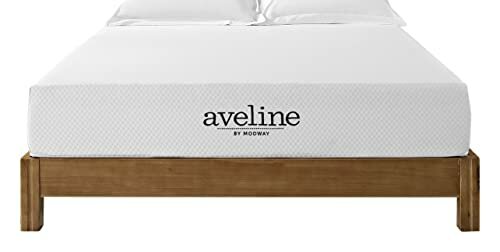 The Modway Aveline takes care of this with open cell ventilated memory foam that relieves pressure points. This foam also limits bounce so that partners aren’t going to bother each other, while keeping the temperature down. The mattress comes with a removable knit diamond patterned cover which can be washed easily. Aligns spine and reduces pressure on hips, lower back and shoulders. Sleep Position: Not every mattress is designed well for every sleep position. If you sleep on your side you need to make sure that the mattress you choose is one that has sturdy sides. Side sleepers don’t just sleep on their sides; most sleep on the edge of their bed, and nobody wants to try sleeping while they feel like they are slowly sliding out of bed. Also, if you toss and turn, you will want to make sure you’ve chosen a bed that has a bit more firmness to it that won’t create deep impressions. Otherwise, you might find yourself trapped in an impression when all you want to do is roll over! This is something you’ll have to balance, as you might sacrifice the memory foams ability to provide you with customized alignment, for a little more bounce. Cooling: Overweight people have a strong tendency to run hot even when they aren’t asleep. When they lay down on a mattress made from materials that are not breathable that heat becomes trapped in the mattress, heating it up so that the sleeper becomes uncomfortable and sweaty. It’s important to then choose a mattress that at the very least has a breathable top layer. The best mattresses use cooling gels and charcoal to keep the bed cool, and some have a second layer with a slightly more firm material that is still quite breathable. Firmness: We might imagine that the softer and cloudier the bed is, the more comfortable it is. It may be fun to jump into such a bed, but for larger people, the more plush the bed is, the more likely they will have aches in pains in pressure points. A firmer bed will be healthier for someone that is heavyset. Of course, smaller partners may not like this, and we do still want some plushness to our beds. This means it’s important to test the different mattresses to find a balance between firm and plush. Some of the beds above find a great balance by having super firm base layers with soft cloudy top layers. Adding a mattress pad may also be a great way to add plush to an otherwise firm and supportive mattress. Durability: Spring mattresses are going to wear down quickly if you are heavy, and you’ll soon find springs digging into your back. This is why all the beds above are made from foam materials. However, even foam mattresses are going to wear down over time. You should expect that after a few years the firmness of the mattress is going to lessen. The best mattresses for someone who is overweight and wants to keep the mattress long term is one that is thick and super firm. Also consider the cleanliness of your mattress. Some mattresses have removable covers that can be washed. Of course, if you use a mattress pad this won’t be a problem. Size: Always keep in mind the size of your bed frame when buying a mattress. Also not the depth, some mattresses are going to be quite deep and will need sheets that will fit them. CertiPUR-US Certification: Some mattresses are made with chemicals which aren’t great for your health or the environment. CertiPUR-US certification assures you that the mattress doesn’t contain formaldehyde, heavy metals, PBDEs, TDCPP or TCEP flame retardants. Price: Mattresses can be quite expensive, and if you are unsure if the mattress is going to be solution you’ve had in mind for your sleeping challenges, you don’t necessarily want to spend a fortune on a mattress. Fortunately many of the best mattresses on the market these days need not be that expensive. Warranty: Things can go wrong, especially with memory foam mattresses that may develop indentations in the wrong spots. The mattress seams could rip, or it could develop a strange chemical smell. Make sure you get a good mattress with a long warranty. Guarantee: Warranties won’t cover everything, and you don’t want to get stuck with a non-defective mattress that you just don’t feel comfortable in. You need to be able to test the mattress for a few days before you decide if it’s the right fit for you. The guarantee is in many ways more important even than the warranty. The best mattresses all include great guarantees, but consider getting one with a 60-100 day warranty so that you really have time to test it out. Sleep should be a pleasant experience, one that leaves us refreshed, not feeling more tired and achy. Now that you are armed with knowledge regarding the best mattresses for overweight people, you can make the decision to upgrade you sleeping and bring an end to hot uncomfortable bed times.